Hold the phone guys- we’re feeling extremely proud of ourselves! Because…. (*drumroll*)… we made bread! We don’t know about you (but we’re feeling 22! No? Taylor Swift? Anyone?) but to us bread is like the holy grail of the baking world. It’s just so impressive- only the pros do it. None of our friends ever make bread. If we ever get homemade bread it’s because someone who’s been baking since before we were were born (hi mom!) made it. We love fresh baked bread, but traditional recipes take much more time and practice than cookies or brownies. Until now. 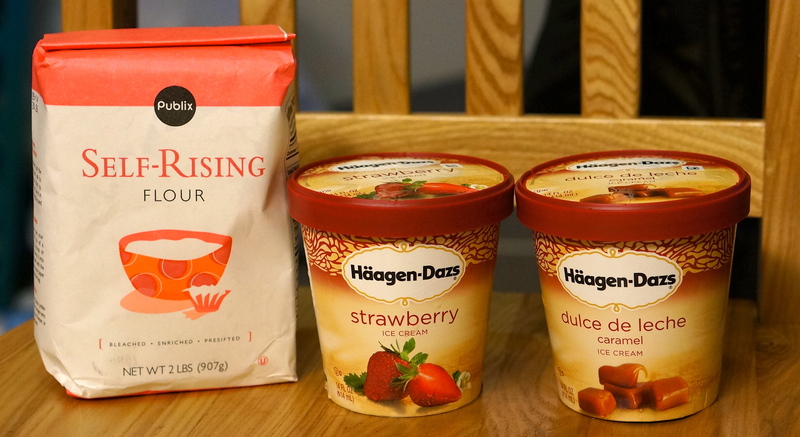 2 cups (1 pint) of regular ice cream (according to the original article you aren’t supposed to used low-fat). We used Dulce de Leche and Strawberry, but you can use any flavor you want. Leave the ice cream out to soften (about 30-45 minutes). 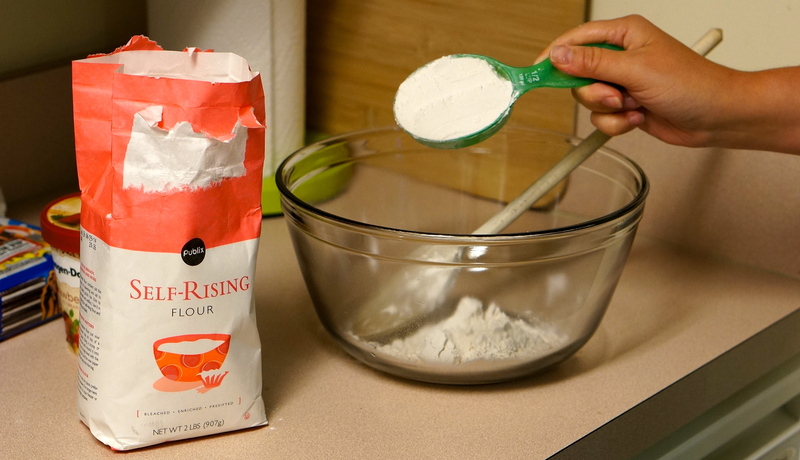 Scoop your flour into a mixing bowl. Now scoop in your ice cream and mix until it’s well incorporated. 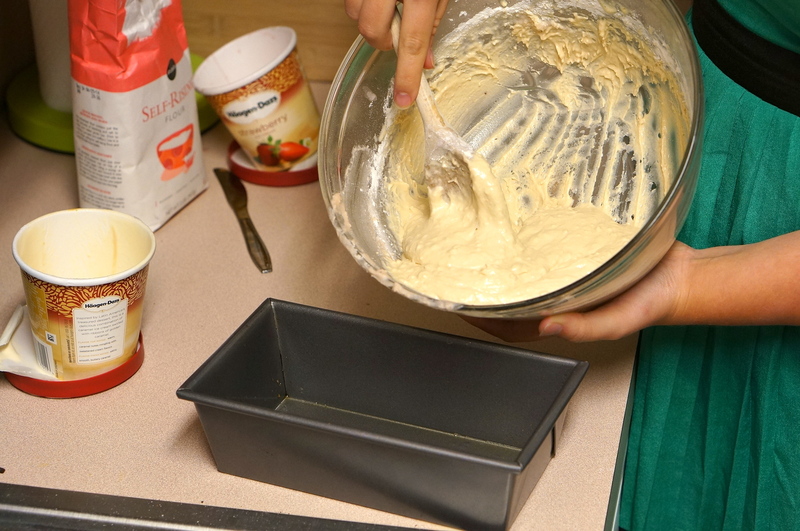 Pour the batter into a greased 8×4 loaf pan. 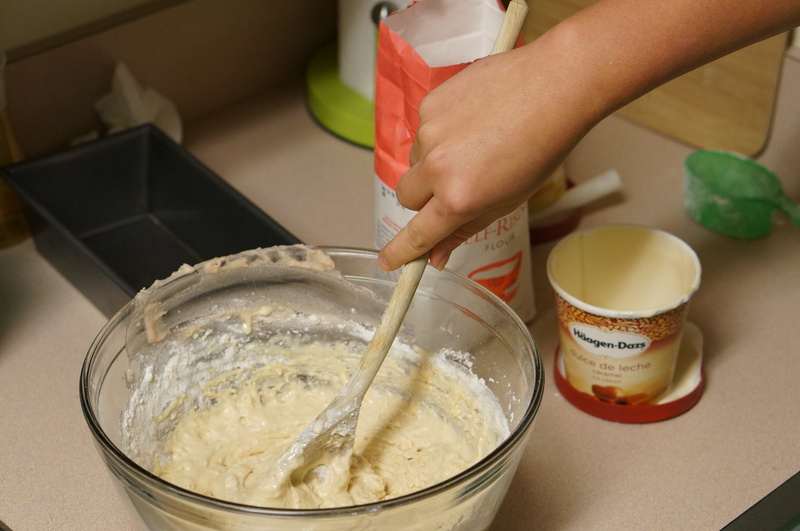 Bake the batter in a 350 degree oven for about 40 minutes, or until a toothpick inserted in the middle comes out clean. That’s it! Just like our other two-ingredient shenanigans, we really liked this super-easy recipe. Surprise: it actually did bake like bread! We must admit- we had our doubts with this one. We thought we would finally get to disprove a shenanigan, but no such luck today. This one is bona-fide and kitchen-worthy. Keep in mind this is bread though, not cake. It isn’t as sweet as you would imagine having a whole pint of ice cream in there and all. It serves well with Nutella or jelly spread on top as an indulgent breakfast or delicious snack. 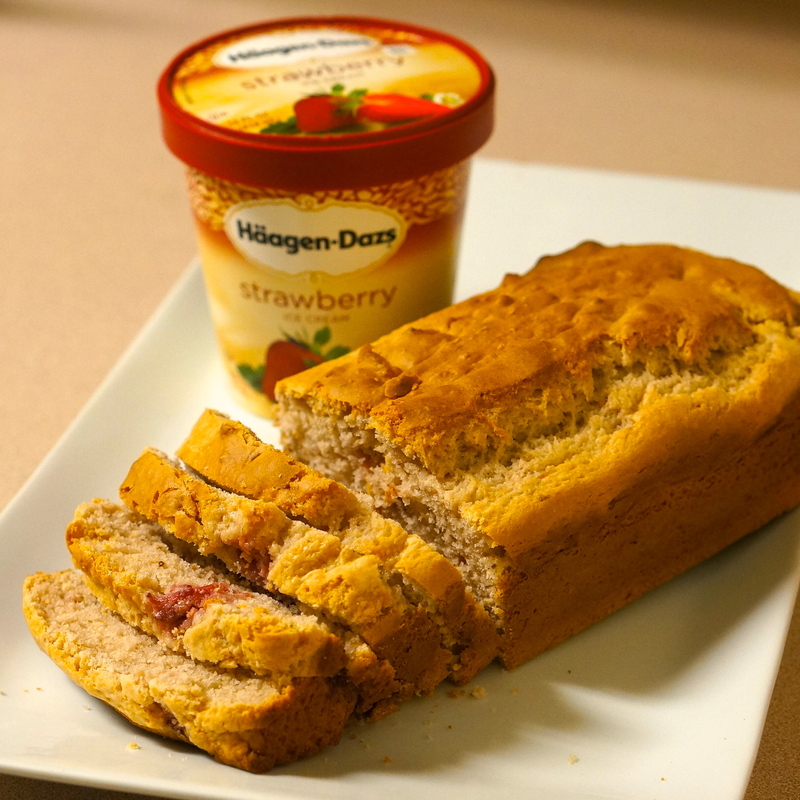 We particularly recommend the making it with strawberry ice cream- the strawberry chunks throughout the bread made it really stand out. What favorite ice cream flavor will you try? Plus, be sure to follow us on Pinterest to see what we might try next! This looks awesome! I cannot wait to try this. We always make special breakfast breads for holidays. Shenanigans you are the best!!! this one really hit my sweet spot. i want. Haha, if you try it let us know! In your intro you talk about the impressiveness of making bread… but quick breads really aren’t impressive/don’t count I don’t think. What about using Gluten Free or other types of flour?